Milan Chicken Coop. 3 Hens. Home Milan Chicken Coop. 3 Hens. 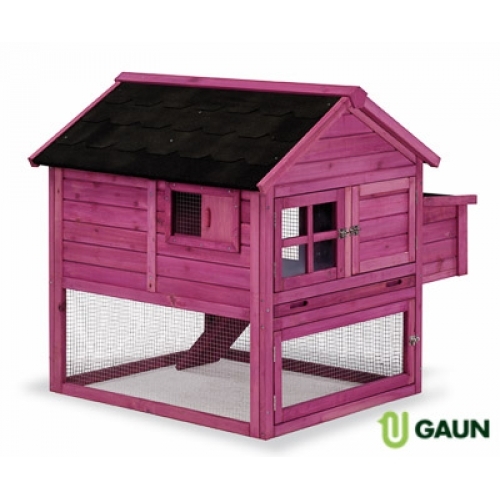 A little, purple-coloured, easy to assemble chicken coop with run underneath. Perfect for 2 - 3 chickens. Roof completely waterproof and foldable to facilitate cleaning and handling inside the nest. Lower access ramp for chickens. Dimenions: mm. 1115 x 1000 x 1000 h.
Smite Red Mite & Louse Powder. 1 Kg Tub. 1 Litre Nutrimin Apple Cider Vinegar.